There was a very interesting lecture from dr. Firat Yazicioglu yesterday. This lecture, entitled Analog Signal Processing for Bio-Medical Applications, was at IMEC Belgium in Leuven. However, Biomedical Group members attended the lecture online, using streaming technology. The lecture was real-time projected in the Davidsezaal at the 18th floor of our building at Delft University of Technology (TU Delft). As I really enjoyed the lecture, I would like to share a few main points with you. Dr. Yazicioglu introduced the lecture by explaining what main drivers are behind emerging biomedical electronics. One of the most important drivers is that healthcare costs can be reduced by remote monitoring of the patients. Other important drivers are the need for tools for emerging therapies, need for smart (closed-loop) devices that can adapt their therapy to the patient’s condition, understanding of biology and brain communications and Brain Computer Interfaces (BCI) for, i.e., the gaming industry. The speaker continued the lecture with topics about instrumentation amplifiers, impedance measurements and biomedical signal processing. One of the main messages of instrumentation amplifiers part is that implantable and wearable biomedical devices tighten the specifications of traditional instrumentations amplifiers where an optimum between noise and power consumption has to be found. In the biomedical electronics field, instrumentation amplifier specifications are much tougher and an optimum among noise, supply voltage, # of extern components, CMRR, input impedance and DC filtering range needs to be found. Other types of electronic circuits treated by the speaker were circuits for impedance measurements. Such measurements can be useful in electrode quality check, motion artifact monitoring, medical imaging, respiration monitoring and impedance cardiography. I would like to end this post by thanking dr. Firat Yazicioglu for a very interesting and useful lecture. 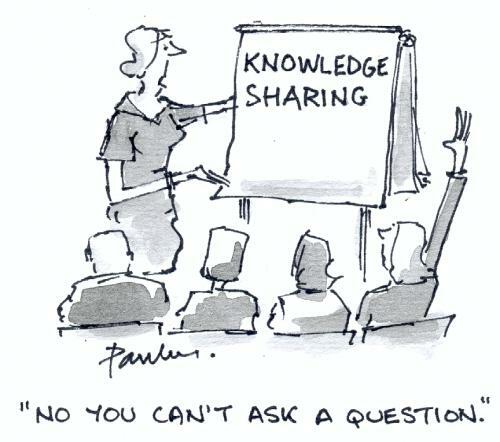 Can you please tell me the copywrite status of the “Knowledge” cartoon? I would like to consider using it in a web site that is under development. If I am not mistaken, this picture is included by its original link only. A picture that is not copied but just linked does not have any copyright issues. Of course, if the original picture is removed, the link will be broken.